I am a freelancing designer from Braunschweig near Hannover. My clients are agencies, freelancer and businesses. I design web sites and logos and create solid HTML/CSS mark-up. Although I am not a programmer, I fell deeply in love with ExpressionEngine in 2008. I love the amazing amount of possibilities and the easy to use interface for my clients. Last but not least I can rely on a network of professional partners with specialized skills. 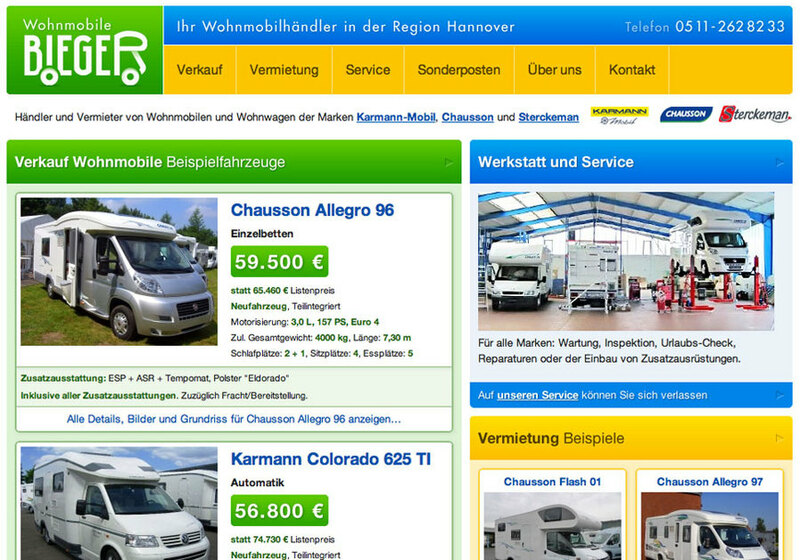 http://www.wohnmobile-hannover.de – one of many ExpressionEngine (the super-duper Über-CMS) based web sites.